I promise to love, honor and cherish you all the days of our lives. My son is getting married! On his wedding day, there will be vows exchanged, rings slipped happily on fingers, the traditional mother and son dance, cake cut and flowers gracing tables. Tears dabbed with tissues passed among the well-wishers. My joy will blow the top off my happy meter. My husband Mark and I will pose for photos with the newlyweds and family members who have come together to celebrate Adam’s joy and the beginning of his lifetime entwined with his beloved. If you’re picturing the scene, you might be seeing my son resplendent in his tuxedo and the bride on his arm in her snowy white finery. But if you know our family, you know the true picture. On my Adam’s arm, is his Adam, aka Marv, also resplendent in his tuxedo. That’s right, my son is about to become half of “The Adams Family,” as my cousin Janice lovingly joked. For those of you who have religious views about marriage ordained by God, I challenge you to open your minds and hearts. Love is colorblind and gender neutral. Until the day I die and get the chance to talk to God in spirit, I believe a benevolent God wants all of her children to find happiness and love in a partner. Woman and Man, Woman and Woman, Man and Man—doesn’t matter. What does matter is the cherishing love between spouses. Nurturing each other through the joys married life brings and the sorrow that inevitable comes from life events. Sickness and health. You hope the scale tilts more toward health, but there are no guarantees. Speaking from experience, I am married to a person who honors our wedding vows 100 percent. Mark honors me as his partner, his equal and holds me up with his love and respect, as I do for him. I want this life for my sons. Gay marriage is polarizing Americans. Christians especially. 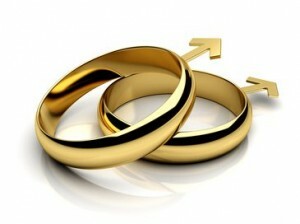 Yet the tides are shifting; Americans are exercising their rights to have equality as 37 states legalized gay marriage. The Supreme Court hearings began Tuesday and the Justices will decide in June how the remaining 13 states must adhere to the Constitution which guarantees equal rights for all people of the United States. 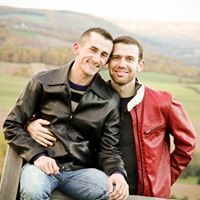 I cannot fathom why 39 percent of Americans (polled by ABC last week according to an NPR news story from Cokie Roberts) think allowing my son and his fiancé who want the right to commit legally to each other undermines the sanctity of marriage. Justice Sonia Sotomayor says, “We are not taking anyone’s liberty away by allowing gay couples to marry.” I fervently hope her wisdom and deep constitutional knowledge prevail for Justice Anthony Kennedy who will likely cast the deciding vote in June.